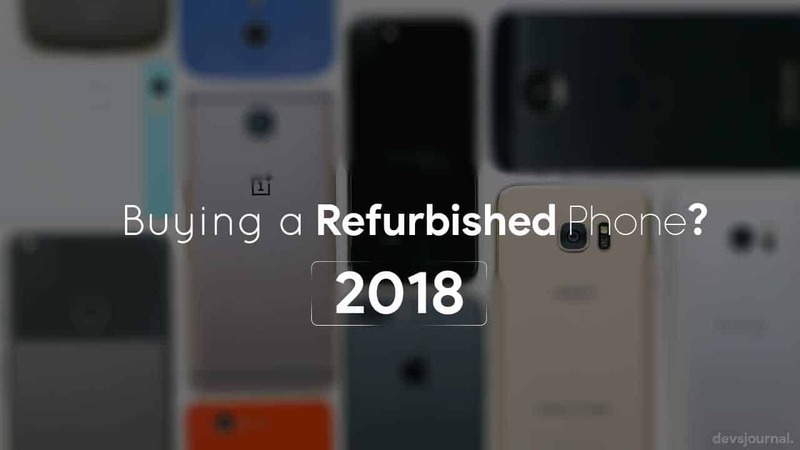 Should you buy a refurbished smartphone in 2018? There are good chances that you might have seen a smartphone deal too good to be true. Then you started to look for the inevitable catch with that would be part of the deal. Suddenly, you see “Refurbished” written clearly on the retail box and you realise the reason. Nowadays, with smartphone sales booming in India, there’s a lot of refurbished smartphones available in the market. In western markets, refurbished phones sell relatively well, but in India there is somewhat negativity attached to these devices. With flagship smartphone prices going astronomically high, it isn’t hard to see why people would opt for a refurbished phone. Even if you do take the entry level, a proper refurbished phone could save the buyer some good cash while also landing him a good device at a bargain price. And at the end of the day, that’s what Indian buyers want, a good bargain. So, first of all, lets clear the air regarding these refurbished devices. And we’ll see whether it is worth having a refurbished phone or not. 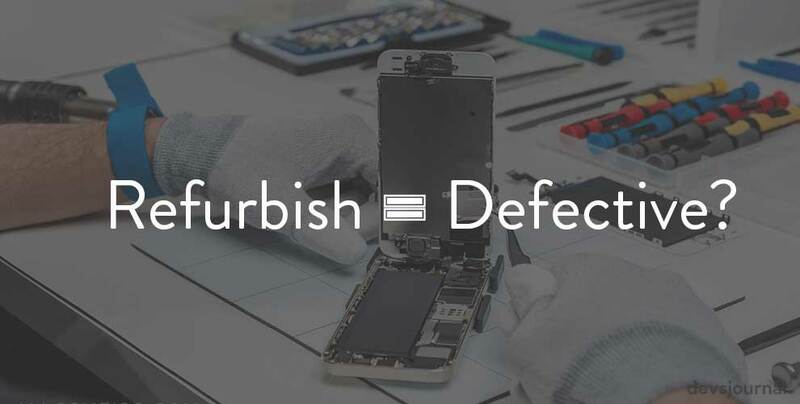 Is refurbish equal to defective? Like we said, the very term “Refurb” gives rise to suspicion and rejection. There are some other words that are used in its place but are really the same thing. For example, “pre-owned” or “reconditioned”. You might even see an “open box” stamp on some. These all mean the same thing. In actuality, refurbished only means a device is tested/repaired and restored to original working conditions after it is returned by the original buyer for whatever reason. The original buyer might have used it or he might have simply returned it without much use. This is where used phones are different. Used phones do not undergo a testing, repair, and repackage procedure. Many refurb phones also come with warranties as well so that is also a good thing. Refurbished phones can be sold by the manufacturer itself, or even a carrier, or a third party like eBay or Flipkart. Some refurb phones are even untouched by original buyers and hence would be a great bargain for deal hunters if they can be spotted. That clears the question- refurbish does not equal defective. What’s the difference between second-hand phones and refurbished phones? Well, second-hand phones aren’t tested and repaired to optimal conditions. Refurbished phones are. In that respect, they are a better option than used phones. Also, you’ll definitely be backed by a warranty in a refurb phone while used phone warranty depends on the warranty time left. Will a refurbished phone shutdown or die quickly? No, this is not generally the case. As long as it is restored to its working condition by professionals, you have no reason to worry. Having said that, electronic devices, new or refurb, can get faulty anytime. There’s no rule or timing for it. As long as you’ve got the device from a reputed seller, its fine. Buyer opinions may vary regarding refurbished phones. In western markets, most people would buy refurbished phones while in India people are cautious and vary jumping in on them. What are the Pros and Cons of buying a refurbished smartphone? For pros, the most obvious plus is the discounted price. For that discount, you’ll be getting the same phone, if you have good search skills. In India, refurbished phones aren’t as easily sold as in other European countries, hence you might find yourself waiting to get a good value deal. Another bonus is that you get a tested and certified device. Some might consider this a con as repairs and tests might leave the device with faults and hidden defects. But certified and tested device are taken care of by professionals and there shouldn’t be so much worry about it. Another bonus point you get with a refurbished phone is a decreased carbon footprint. 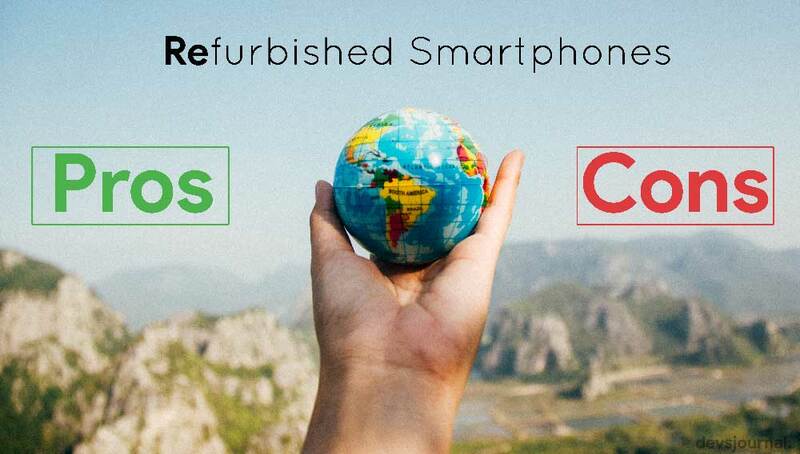 For every refurb phone used, there will be one less in the huge garbage dump that is choking the environment worldwide. You, my friend, get major brownie points by using a refurbished phone. There’s only one major con that we see can potentially come with a refurbished phone. The handset might turn out defective despite all the precautionary measures. Whatever seller you’re buying from, ask them the warranty period for the device. Also, ask them about their return policy. It’s best you stick to reputed sellers and manufacturers for such products. Also, verify if their customer service is worthwhile just in case. If the seller doesn’t give warranty or isn’t clear about return policy, it is best you stay away from the deal. Buying old refurbished models might leave you without repairable spare parts. Say, a phone which was launched 1 year ago will definitely have a problem with spare components in the market. If you end up buying such an old device, and it gets faulty, you’ll end up with a brick. Hence, buy newer refurbished models that have launched within 2 to 3 months. IMEI numbers can help track the history of the phone. Check the IMEI number on the phone by dialling *#06# and see whether it is blacklisted or not. Websites like IMEI.info have blacklisted phones that were stolen with their IMEI number. You can also contact phone manufacturer to get these details. If there’s a box, tally the phone’s IMEI with the one on the box as well. Examine the phone’s removable parts like battery and ports like the charging port. Also, accesories should be tested once and the charger to see if it works properly. While you’re at it, boot the phone to check the display and the software if it is completely wiped to factory state. What’s going on with you OnePlus?